Awesome page. Love the design and all the fun stuff. WOW WOW WOW!!! I love this!! LOVING the B&W photo against those fun colors and loveeeeeeee the BINGO cards!!! great layering~love that idea!!! Awesome Lo !!! I bow to your amazing layering mojo, again! Great work! Aww, neat page! The layering is lovely and so is your daughter! Amazing page, and I love the prompts-definitely will use those with my soon-to-be middle schooler. Wow, your layering is fabulous. It always look so cohesive..i feel like mine starts to look jumbled and confused. Great layout, thanks for sharing. Love all the layered embellishments! Beautiful page! Oh my gosh! My dd is also entering 6th grade this year (what?!) and I am bookmarking this idea. Your layout is wonderful - so creative and colorful and fun! Great idea and the layout came out great! My son is going into pre-k and this might be the first year I'd get straight answers out of him! I might try this! 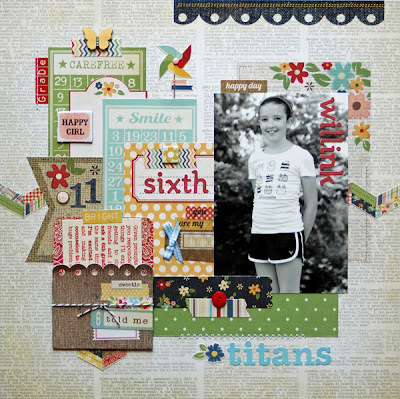 Great layout Lisa - I love the combination of the black/white picture and all the colorful embellishments! Lisa, this is super cute and such a fun idea. This will be great to look back on. Love your pocket and fun journaling questions. These might be a little hard for Cory, but I should ask him some simpler questions and scrapbook them. Thanks for the great idea! 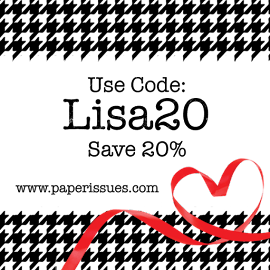 LOVE your page. This layout if fabulous. I love all the pieces you used! So many layers and details. Gorgeous!